Whether your business or organisation is in retail, leisure, education or caters for families, indoor soft play areas provide an added attraction providing an opportunity for fun, as well as a substantial return on investment for your business. All the leading experts agree that children should be free to choose - in a safe environment - how they play, what they play on, what they play with and when they play. They should be free to use their imaginations and create many fantasy worlds in which they play. Play is a vital part of a child’s development - how to interpret, imagine, create, interact with others, explore, develop movement and dexterity skills, be fast, slow, loud, quiet, resourceful and so on. It provides social, emotional, intellectual and physical development. Children need play, and soft play has developed with two main objectives - to satisfy the demand for family orientated leisure facilities and to provide safe and imaginative play areas within a controlled environment. Soft play also provides an ideal opportunity for children with disabilities to experience the freedom to play. Multi sensory stimulation can enhance mental and physical development. At Angus Firth Design we never lose sight of these things when we design our wonderful play worlds and soft play equipment for children. Soft play started life as simple indoor play areas with padded toys, floors and walls. It has now developed into more complex structures, designs and sizes. 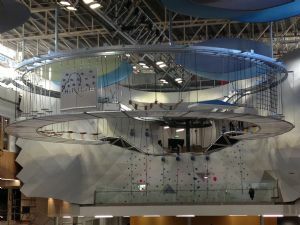 An industry has been built up around soft play designers, manufacturers, installers and operators, with Angus Firth Design amongst the leaders. There are now over 1,000 soft play areas in the UK alone and many more worldwide. 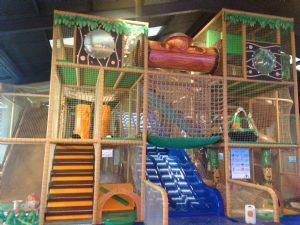 More adventure play has been introduced into the designs including - ball pools, slides, bridges, aerial runways, interactive sound and lighting etc. The current trend is to have the play area contained within a steel frame on several levels with netted walls.